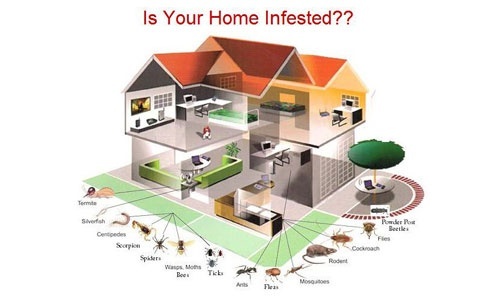 Keep your home safe, comfortable, and pest-free for you and your family. Employ the pest control solutions offered by Everready Termite & Pest Control in Ojai, CA. We Service all of Ventura and Santa Barbara Counties. We offer superior fumigation services, heat treatments, and other types of pest control options. Trust that with us by your side, you can keep unwanted critters from your home without hassle. At Everready Termite & Pest Control, we pride ourselves on providing no less than exceptional yet affordable exterminator solutions tailored to the preferences of our clients. Make us your preferred termite and pest control company today. To schedule our pest control services or to inquire about our rates, give us a call or send us an email. Owner Derek Mashburn, office manager Amy Brown, and the rest of our staff will gladly accommodate you. 155 E. El Roblar Dr.